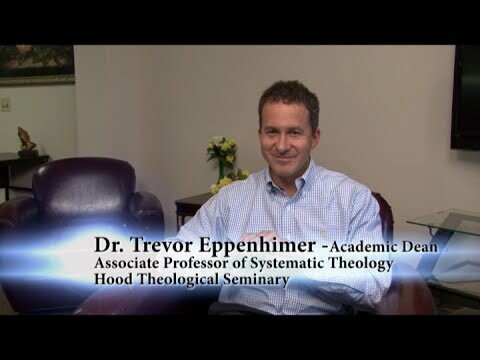 Trevor Eppehimer joined the Hood Theological Seminary (HTS) faculty in 2007 after receiving his Ph.D. in 2006 from Union Theological Seminary in New York, where he served as a teaching assistant for seminal black liberation theologian James Cone and taught courses in philosophical theology. Dr. Eppehimer currently teaches required courses in Christian theology and electives in Christian ethics, philosophy of religion, Methodist doctrine, and systematic theology. His published work includes articles and book reviews in Black Theology: An International Journal, Theology Today, and Union Seminary Quarterly Review. He currently serves as the Seminary’s Academic Dean, a position to which he was appointed in 2013.Additional work experiences of his include serving as research assistant for Harold Bloom and positions with the Interfaith Center for Corporate Responsibility (New York NY), Office of the Attorney General of the State of Washington, the Public Defender Association (Seattle WA), and Office of the Governor of the State of Arizona. In addition to working with students at Hood, Dr. Eppehimer also enjoys serving as an adult and children’s Christian education instructor at various local churches in Salisbury NC, where he lives with his wife, Victoria Curran, and their two children, Grace and Nicholas.